It’s official! As we reported last week, Freeform has renewed the Young & Hungry TV series for a fourth season. Young & Hungry stars Emily Osment, Jonathan Sadowski, Aimee Carrero, Kym Whitley, and Rex Lee are back to work. Production begins, today. 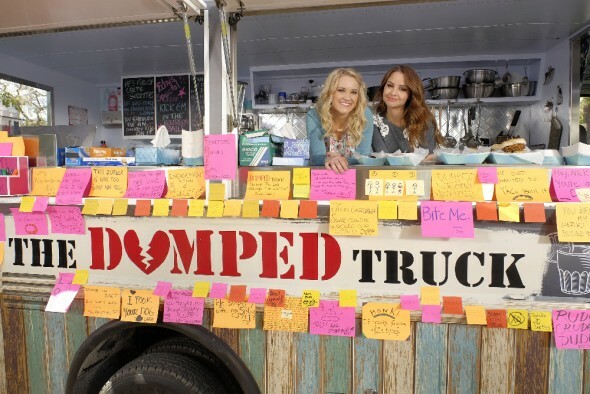 “Young & Hungry is the first series we’ve renewed under the new Freeform banner. It remains a staple in our comedy diet. The show’s humor, quality and wonderful actors fit perfectly with our evolving brand,” said Karey Burke, executive vice president of Freeform Programming & Development. Freeform picked up a fourth season of the hit original comedy series “Young & Hungry,” it was announced today by Karey Burke, executive vice president, Programming & Development, Freeform. Production on the new season begins today, Monday, March 7. “’Young & Hungry is the first series we’ve renewed under the new Freeform banner. It remains a staple in our comedy diet. The show’s humor, quality and wonderful actors fit perfectly with our evolving brand,” said Burke. Season to date, “Young & Hungry” is cable TV’s #1 scripted original series in its time period in target Adult 18-34 and Adult 18-49 demographics. The series and cast have been nominated for five Teen Choice Awards since its premiere in the summer of 2014. What do you think? Are you a fan of the Young & Hungry TV show? Do you plan to tune in for the fourth season on Freeform?